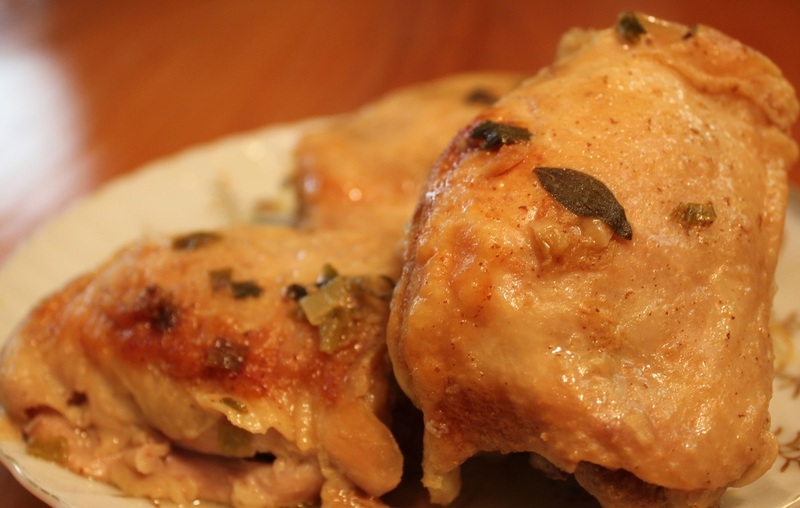 A savory sauced chicken baked until very tender. Arrange chicken pieces in bottom of slow cooker. In small bowl mix wine, chicken broth, mustard, garlic, green onions, oregano and honey. Cover slow cooker, set to high and cook for 5-6 hours.